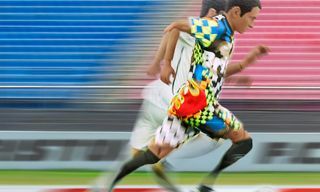 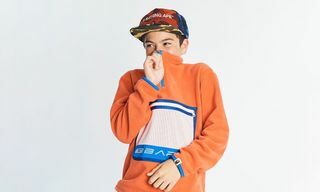 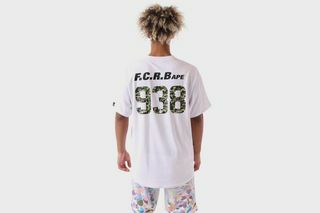 Key Pieces: The game shirt is a staple item of F.C.R.B., and here BAPE’s signature camouflage look enjoys a rainbow gradation that fades into white. 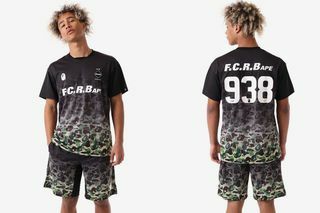 Editor’s Notes: BAPE Japan and fictional football club F.C. 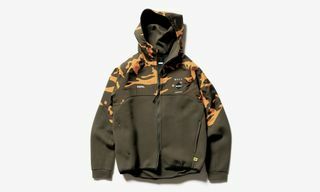 Real Bristol have teamed up on what they are calling an “epoch-making” collaboration, slated to drop March 25. 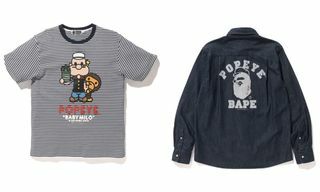 The collection marks the 25-year anniversary of BAPE as well as SOPH.’s 20-year anniversary. 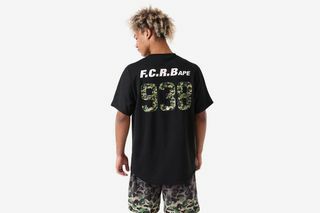 The speculative football/streetwear line titled, “F.C.R.BAPE” generously samples “BAPE Camo.” The iconic print appears on game shirt and shorts (each ¥20,000, approximately $180) as well as ventilation hoodies (¥31,000, approximately $278) and practice jackets (¥36,000, approximately $323). 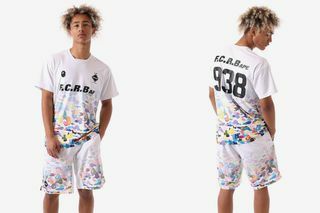 The game shirt and shorts are an iconic combo, rendered in white with BAPE’s camouflage drawing on a broader color-spectrum to create a playful kit that is sure to sell out quick. 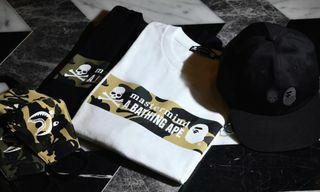 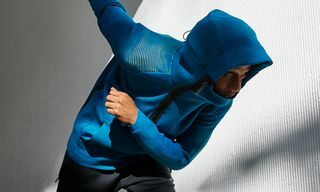 There’s also a strong selection of long sleeved tees, practice pants and hoodies in predominately black and white colorways.